3 Birds Marketing - Promoting Live Inventory in Communications – Does It Help or Hurt? Promoting Live Inventory in Communications – Does It Help or Hurt? The debate about putting actual inventory in Digital Marketing email, newsletters, conquest campaigns and the like has been being waged for some time. There is one school of thought that putting inventory in your marketing pieces gives consumers a reason to say “No, they don’t have what I want,” or “Wow, their prices are too high.” The contention continues that there are more customers turned away by specifics than are compelled to call or fill out a lead form. The other camp cites customer research that clearly shows that consumers are hungry for inventory and transparent pricing. In past experiments with new vehicles on popular portal sites, adding inventory reduced leads by as much as 50%. So what is the right answer? The percentage of customers who purchased as a result of the marketing more than doubled for those whose communication included inventory. Start integrating new and used inventory into your Digital Marketing where it makes sense. It is easy and improves results! Interested in learning more? Schedule a strategy session today! 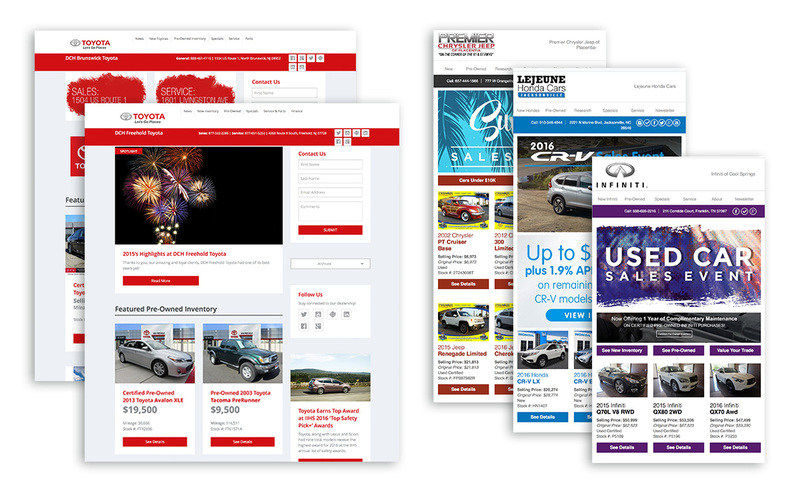 * Click rates increased from 8.6% to 12.7% when live dealership inventory was featured in marketing messages. ** Customers who purchased as a result of marketing did so in 67.6 days on average when there was no inventory in the marketing. When inventory was present, the purchase was made in 48.3 days.